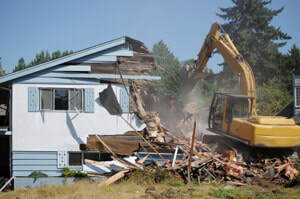 DEMOLITION, EXCAVATION SERVICES COMMERCIAL DEMOLITION, INDUSTRIAL DEMOLITION, RESIDENTIAL DEMOLITION - "One Call Does It All! 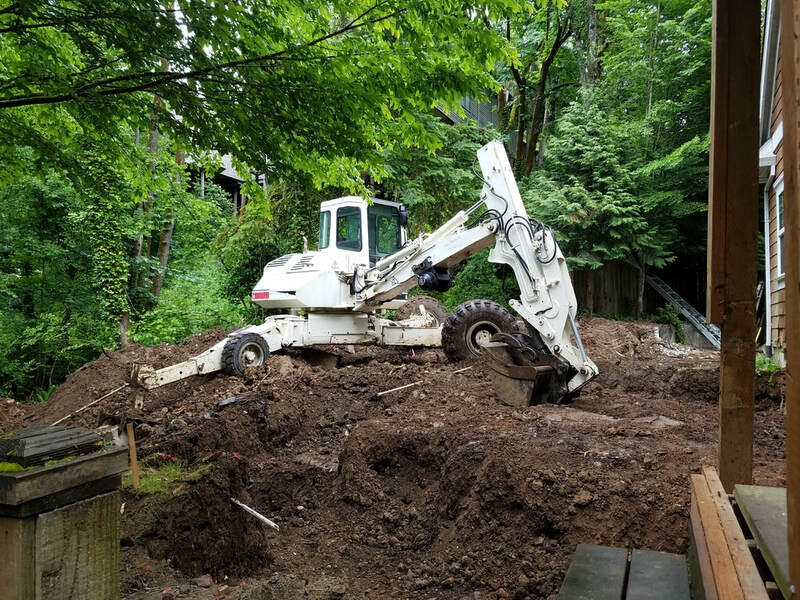 All Trades Contractor"
“One Call Does it All!” “All Trades Contractor” “All Trades Contracting Services from A-to-Z:” Call Richard for Service at 503-449-5616. 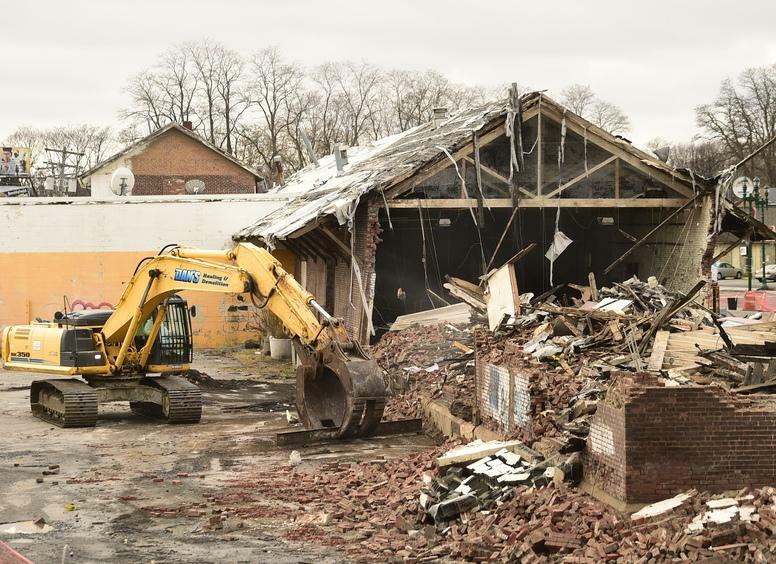 Abatement: Environmental Services, Asbestos Abatement, Removal of Hazardous Materials. Clearing and Removal of Trees, Brush and Vegetation. 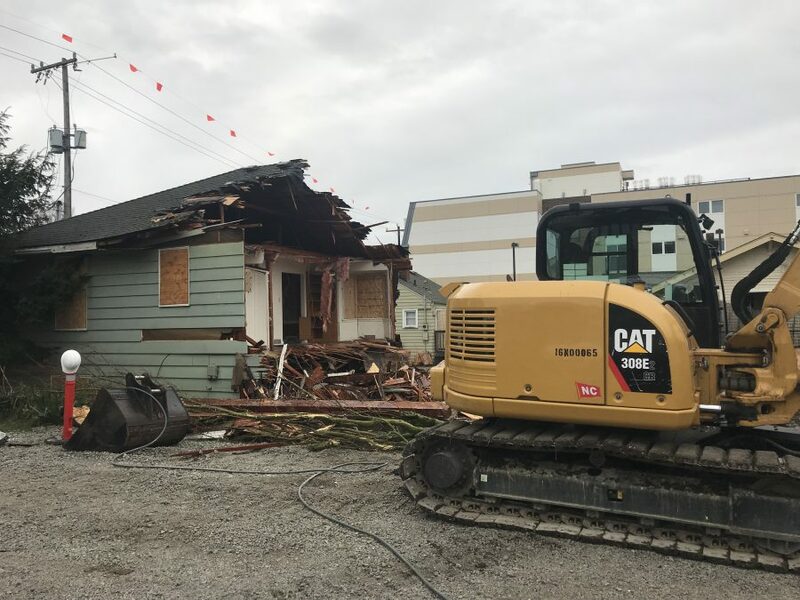 Demolition Of Buildings: Demolition And Removal All Types Of Structures And Buildings: Residential, Commercial And Industrial Structures And Buildings. 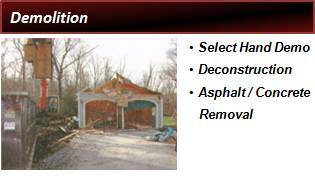 Demolition and Removal of Concrete and Asphalt. New Sewer and Water Line Installation. New Septic System. 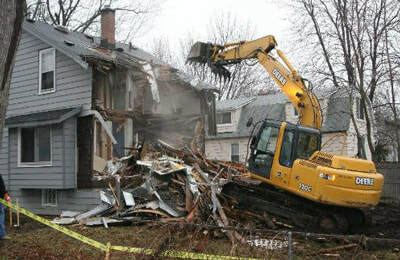 Demolition and Removal of Almost Everything. Check Out Are Website At:Alliedcontractorsgroup.Com.With Multiple Hundreds of Projects and Photos. Installation, Gravel Construction Entrances, Ground Covering For Permanent Erosion Control. Tree Protection Services from A-To-Z for Any Project: Including Fencing and Signage for Tree Protection. Tree Removal Permitting For Any Project: Including Arborist Report and Tree Permitting. 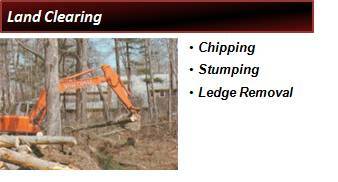 Site Clearing Services From A-To-Z For Any Project: Including Clearing And Removal Services Land Clearing, Tree Removal, Removal Of Trees, Brush, Bushes, Wood Chipping, Stump Grinding, Root Removal, Dirt Removal, Debris And Other Unwanted Materials As Needed. Logging Services. 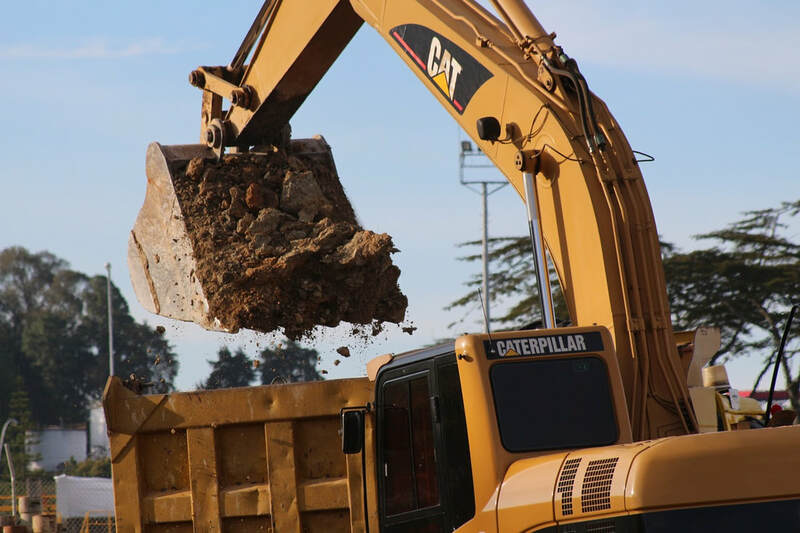 Excavation And Site Related Services From A-To-Z For Any Project: Including Land Clearing, Bulldozing Hydro Ax Mulching, Excavation, Foundation Dig Out, Dirt Removal, Soil Export, Soil Import, Trenching, Piping, Grading, Leveling And Backfilling. All Terrain Steep Sloped Projects, Drive Ways And Road Building. 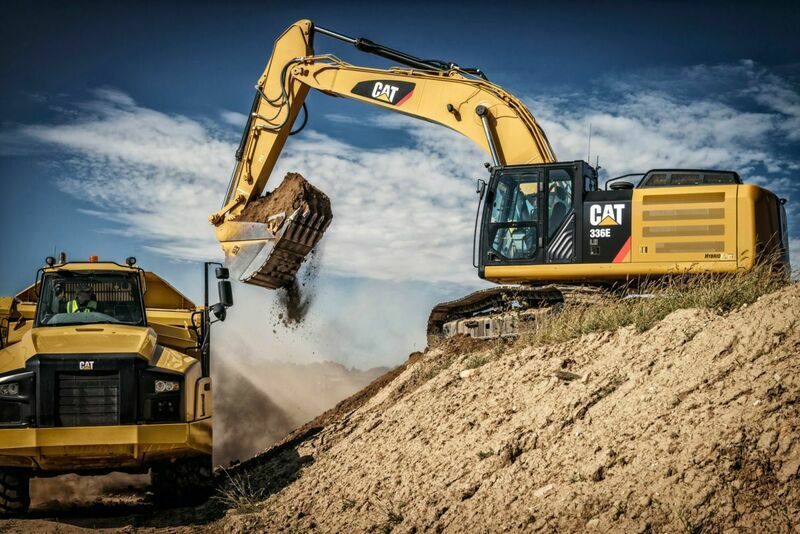 Land Improvements and Land Development. 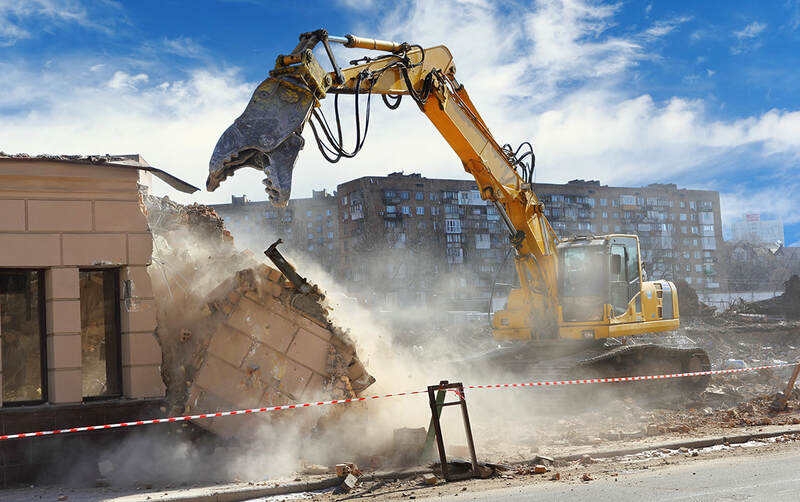 Demolition And Site Clearing Related Services From A-To-Z For Any Project: Including Removal And Clearing Of Everything Required. Including Entire Building Structures, Residential Structures, Commercial Structures, and Industrial Structures, Concrete Structures, Concrete Foundations, Concrete Basements, Slabs and Sidewalks. 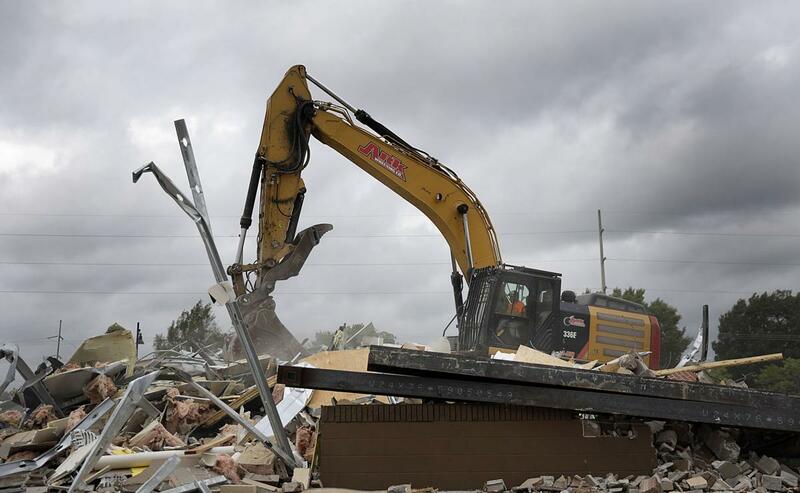 Removal And Disposal Of Debris Piles Co-Mingled Materials And All Other Waste Materials. 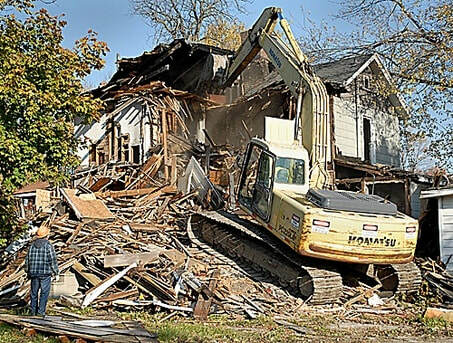 Deconstruction And Dismantling Services From A-To-Z: Including Deconstruction, Dismantling And Disassembly Of Single-Family Residences, Repurposing Valuable Building Materials And Other Items Keeping Them Out Of The Landfill. 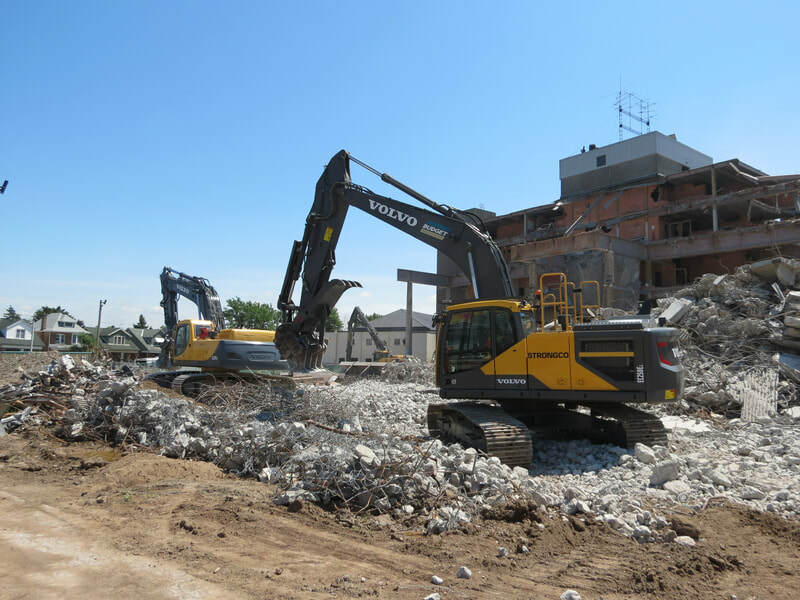 Site Clearing Services From A-To-Z For Any Project: Our Crews Adhere To All Environmental Laws And Standards Set Forth By Federal And State, And Local Jurisdictions. 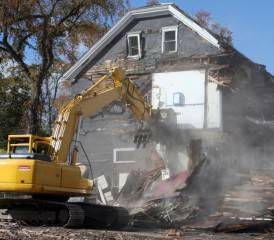 Our Team Is Comprised Of Licensed Environmental Consultants And Licensed Abatement Contractors. 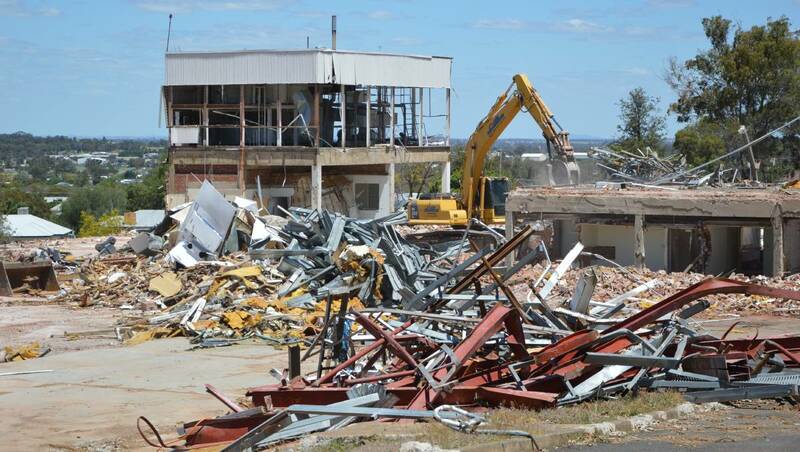 Decommissioning And Decontamination Services From A-To-Z: Removal And Disposal Of Contaminated Soils, Petroleum-Based Contamination, Lead, Hard Metals, Etc. Dismantle And Decontaminate As Required. Oil Tank Decommissioning Services from A-To-Z for Any Project: Removal and Disposal of Underground Heating Oil Tanks Environmental Consulting Services, Permitting, and Soil Testing and Reporting. Remove Oil; Pump Out/Clean Out Oil Tank. Fill With Self-Compacting Granular Material, Backfill; Restore Lawn And Or Landscape As Required. Cesspool and Septic Decommissioning Services from A-To-Z: Permitting, Locating and Decommissioning Of Cesspool. Clean Out And Flush Cesspool, Pumping Out Any Sewage Material/Waste Material Or Water, Fill Cesspool With Self-Compacting Grade Material, And Backfill. 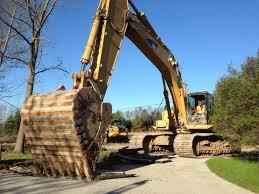 All Types Of Site Preparation And Improvement Services From A-To-Z Services. Site Permitting Planning And Preparation Services From A-To-Z. 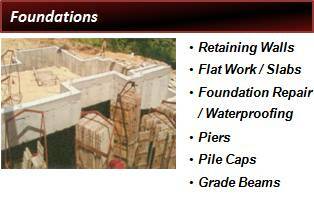 Full-Service Construction and Installation of Foundations and Concrete Structures from A-To-Z. Underground Utilities And Installation Services From A-To-Z Including Underground Sanitary Sewer/Water Installation, Water Main, Water Line, Sewer Line, Gas Line, Fiber-Optic Line And Power Line. Storm Drainage Systems and Installation Services from A-To-Z Storm Water Piping and Dry Wells. All Types of Foundation Related Services from A-To-Z. All Types Of Structural Concrete Installation Services From A-To-Z. Structural Concrete, Footings, Foundations, Basements, Retainer Walls. All Types of Retaining Walls, Concrete, Cast in Place, Block Wall, Natural Wall. 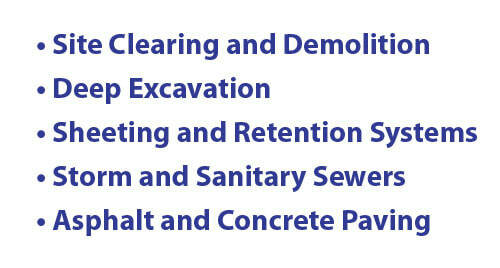 All Types of Concrete Related Services from A-To-Z. All Types of Flat Work, Sidewalks, Curbs, Driveways, Porches, Patios, Floors. All Types Of Asphalt Related Services, Paving, Private Roads And Driveways. Exterior and Interior Waterproofing and Drainage Systems. All Types Of Interior And Exterior Construction Services From A-To-Z. 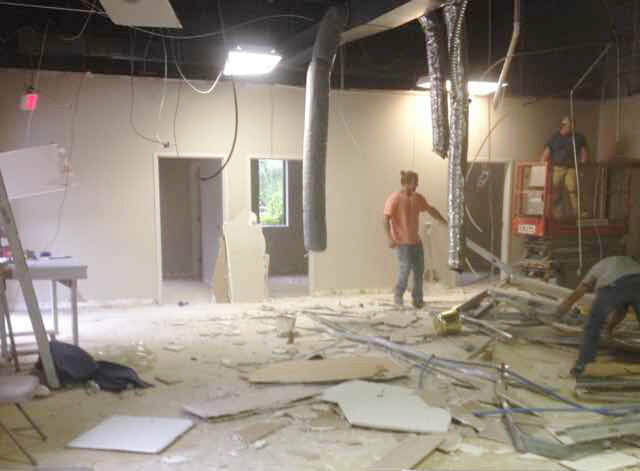 Full-Service Construction and Remodeling Contractors. Full-Service Real Estate Development Contractors. All Types Of Building Construction Services. 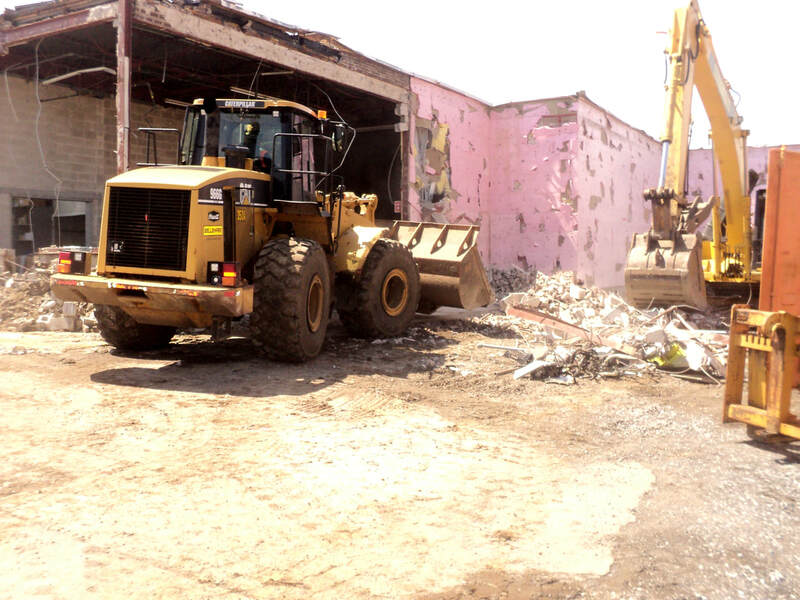 All Site Services, All Site Development, All Site Improvements, All Site Construction, All Excavation Services, All Building Trades Services, All Exterior Construction Services, All-Terrain Excavation, All-Terrain Steep Sloped Construction, All Exterior Improvements, All Abatement Services, Asbestos Abatement, Agricultural Buildings, Asphalt Driveways, Asphalt Parking Lots, Asphalt Placement, Arborist, Brush Clearing, Building, Basements, Construction, Commercial, Concrete Removal , Concrete Placement, Concrete Construction, Concrete Installation, Concrete Foundations, Concrete Footings, Concrete Slab, Concrete Flat Work, Concrete Sidewalks, Concrete Driveways, Concrete Buildings, Cesspool Decommissioning, Catch Basins, Culvert Construction, Excavation Contractor, Land Clearing, Dirt Removal, Dirt Placement, Demolition Haul Off And Removal, Demolition Buildings, Demolition Homes, Concrete And Asphalt Demolition And Removal, Driveway, Decommissioning, , Drain Line Installation, Drain Line Extension, Dig Out, Digging, Drain Tile, Drainage, Dry Wells, Drain Systems, Electrical Underground Installation, Erosion Control, Earth Work, Environmental Abatement, Environmental Cleanup, Environmentally Sensitive Areas, Foundations, Footings, Final Grading, Flow Wells, French Drains, General Excavating, General Contractor, General Construction, Gravel Placement, Grading, Land Clearing, Lot Clearing, Logging, Loading, Limited Access In-Assessable Site Work, Machine Digging, Machine Rock Slope Scaling, Planter Boxes, Plumbing Systems, Plumbing Installation, Power Installation, Residential, Roads, Rain Drainage, Rain Drains, Retaining Walls, Retaining Structure, River Tributary Restoration, Site Improvements, Site Construction Site Development, Site Clearing, Site Demolition, Site Abatement, Site Work, Site Preparation, Steep Slope All-Terrain Excavation, Spider All-Terrain Excavator, Limited Access, Slope Stabilization, Sewer Contractor, Sewer Construction, Sewer Installation, Sewer Extension, Sewer Connection, Sewer Replacement, Sewer Repair, Sewer Hookup, Sewer Tap, Septic Replacement, Septic Installation, Septic Tank Removal And Replacement, Sewer Repair, Storm Drain Extension, Storm Drain Connection, Storm Drain Installation, Storm Drain Construction, Sidewalk Construction, Sidewalk Removal And Replacement, Slab Foundation, Steel Buildings, Stump Grinding, Trucking Transportation, Tree Removal, Tree Stump Removal, Trench Work, Trenching And Piping, Underground Utilities, Underground Work, Underground Installations ,Vegetation Management, Water Line Installation, Water Line Replacement, Water Line Repair, Water Line Extension, Water Well Installation & Decommissioning, Wood Chipper, Utilities Installation, Vault Installation, Oil Tank Decommissioning. *All Services* All Trades *All Contracting*All Construction*All Building Trades*All Specialty Trade Installations, *All Phases ,* All Types , *All Sizes ,*All Construction,*All Remodeling, *All Replacement, *All Installation, All Repair, All Restoration, All Renovation, *Residential, *Commercial, * Industrial *Project Management*Preliminary Assistance ,* Preconstruction Services *Consulting*Planning,* Design,* Engineering,*Cad,*Drafting,* Plans,* Permits,*Building Trade Permits, Land Development ,*All Site Development ,All Site Improvements,* Excavation,* Grading, *Leveling, *Underground Work,*Trenching, *Piping,*Utilities*Sewer*Water *Power*Concrete, *Paving, *Asphalt, *Soil Import, * Soil Export, * Trucking, *Demolition, *Excavation,*Cesspool Decommissioning, * Septic Decommissioning ,*Septic System ,*Water System, * Underground Utilities, ,*Foundation,*Basements,*Crawlspaces, Basement Egress,*Waterproofing *Exterior Waterproofing, Interior Waterproofing*Site Drainage**Framing*Roofing,* Flashing,* Gutters, *Downspouts,* Siding, *Windows, *Doors,*Masonry,* Exterior Carpentry, *Exterior Painting, *Mechanical,* Heating, *Ventilation,*Air Conditioning *Plumbing, Piping, *Electrical,* Wiring,* Lighting,* Insulation, *Drywall, *Kitchens,*Bathrooms,* Restrooms *Cabinets,* Countertops,* Built-Ins,* Finish Carpentry,*Mill Work,* *Closets ,*Interior Carpentry,*Interior Painting, *All Types Of Flooring, *Tile*Carpeting,* Hardwood Floors, . *All Types Of Floor Covering*All Types Of Wall Covering. * Stairs, *Railing,* Decks,* Porches,* Overhead Doors,*All Types Of Fencing *All Types Of Gates* Landscaping ,* Hardscaping . * All Types Of Site Improvements,* All Types Of Interior And Exterior Improvements And Replacements,*Concrete Structural Work, * Retaining Walls, * Basements, Crawlspaces, * Footings, * Walls, Vaults, Slabs, Pads, *Concrete Structures, *Retaining Walls, Concrete Floors, Concrete Ramps, Concrete Stairs. *Concrete Flat Work, Driveways, Sidewalks, Curbs, Walkways, Patios, Colorize Concrete, Stamped Concrete, Stained Concrete, Restrooms, Concrete Walls, Concrete Floors, Concrete Demolition And Removal, Asphalt Demolition And Removal, Building Demolition And Removal,*Steel Fabrication And Installation: Railing, Stairs, Mezzanine, Balconies, Window And Door Guards*Interior And Exterior Waterproofing To Prevent Water Intrusion. Site Drainage And Dry Well, Catch Basins *All Types Of Construction* All Types Of Buildings*Wood Buildings* Steel Buildings *Concrete Buildings. *Lifestyle Challenges And Improvements, * Accessories For The Elderly, Senior Citizens, Or Physically Challenged, * Aging In Place/Handicap Accessibility Alterations, * Handicap Accessibility Home Remodeling, * Modifications And Accommodations, * Wheelchair Accessible Home Remodeling And Modifications, * Handicap Accessible *Bathroom Remodeling, *Handicap Accessible Kitchen Remodeling, *Walk-In Tubs, *Roll In Showers, *Handicap Wheelchair Ramps, * Handicap Grab Bars, *Assessable Doors, *Assessable Walk-In Closets, *Wheelchair Assessable House Plans, * Accessory Dwelling Units, *ADU, * Accessory Structures, Accessory Storage, *Accessory Shelter, Cabins, * Garages, * Shops. * Building Egress, * Building Code Compliance, *Handicap Code Compliance, * Electrical Code Compliance, *Plumbing Code Compliance, * Mechanical Code Compliance, * HVAC Code Compliance, Fire, Life, *Safety Compliance, * Health Code Compliance. * Fire Code Compliance, *Safety Code Compliance, * Inspector Required Code Compliance Correction’s, *Inspector Required Repairs, * Real Estate Addendum Compliance, * Building Code Compliance Correction’s. * Insurance Damage Repairs, *Water Damage Repairs, * Fire Damage Repairs, *Smoke Damage Repairs, *Water Intrusion Damage Repairs, * Weather Damage Repairs, *Wind Damage Repairs, *Environmental Damage Repairs, * Mold Damage Repairs, *Lead Abatement*, Environmental Damage Cleanup, * Tenant Improvements*, *Building Improvement, * Building Maintenance, * Home-Improvement, * Home Maintenance, * Construction, * Building, * Remodeling, * Improvement, * *Renovation, *Restoration, *Rehabilitation, *Rejuvenation, * Alteration, *Modification, *Buildout, Additions, * Extensions, * Bump Out, * Building* Alterations * Additions, *Storefront Remodeling, Building *Construction And Remodeling, * Basement Construction And Remodeling, *Kitchen Construction And Remodeling, * Bathroom Construction And Remodeling. Engineering Services Are Provided By Independent Industry Licensed Professionals. 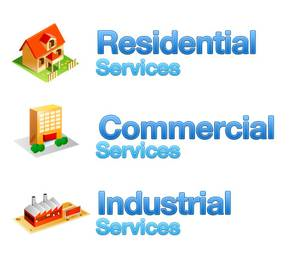 All Other Services Are Provided By Professionals Licensed For Their Specific Industry And/Or Building Trade. We Serve The Entire Portland And Vancouver Metropolitan Area Including All Surrounding Areas And Counties Including But Not Limited To: Portland, Northwest Portland , Southwest Portland , Northeast Portland , North Portland , Southeast Portland , Hillsboro, Forest Grove, Beaverton, Sherwood, Tigard, Tualatin, Wilsonville, Lake Oswego, West Linn, Oregon City, Gresham, Troutdale, Sandy, Vancouver, Camas, Washougal, Brush Prairie, Battleground, Yacolt, Amboy, Hazel Dell, Salmon Creek, Ridgefield, Lacenter, Woodland, Kelso, Longview, Olympia, Tacoma, Seattle. All Counties And Surrounding Counties Including But Not Limited To Multnomah County, Washington County, Clackamas County, Columbia County, Clark County, Skamania County, Cowlitz County, And All Surrounding Areas And Counties.